So where is the best place to shoot food photography, on location or in the studio? What’s the best place to shoot food photos, on location or at your studio? That depends… Most clients, new to food photography, especially restauranteers, just assume that the best place to shoot is at their location. They assume that it will be easier for all concerned to be next to a kitchen and all the food. The problem is that while it may be easier, it may not produce the best possible photos. No doubt about it, it’s easier for the client to shoot at his location. 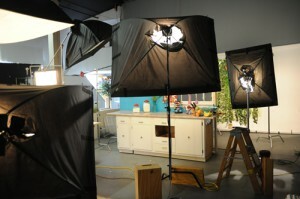 The food is usually already there and so are the dishes and other things he thinks he might need for the shoot. And besides that, he can do a little work too, while he’s there. 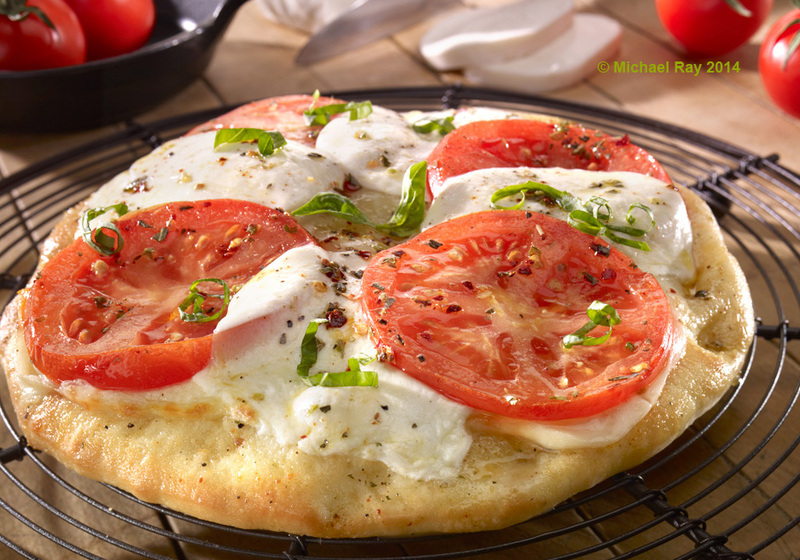 With some food photography shoots, it’s helpful to use the environment in the photography. The walls of a restaurant may be beautiful and unique and might add to the photos. That’s a really good reason to shoot on location. Food photography can chew up a lot of space and be very disruptive to any location. I just counted them… I have over seventy different food surfaces at my studio. No matter how hard I try, I just can’t anticipate which one, or two, or three might look best with your food. I surely can’t bring all seventy, so if we shoot on location, we will be limited to what will fit in my truck. And my equipment will take up most of the room. Besides wooden surfaces, I also have at the studio a rather large collection of tiles, slate, Formica, and a few pieces of marble too. 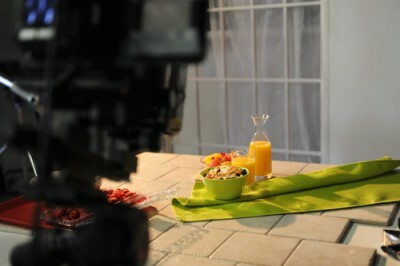 Shooting at the studio will give us many options to make our food photos look amazing. The same goes with props as it does with backgrounds. Would a cutting board look good there? In my studio, I probably have at least fifty styles, shapes, and colors to choose from. The same goes with cups, plates, silverware, glasses, bread baskets, etc… You get the idea. Lighting is extremely important in food photography and there are many light modifiers that I only use once in a while. When I need them though, I really need them. It is just impossible to bring my entire studio to a location, and the only way to assure that the right tool is at hand, is to shoot in the studio. As you can probably tell, I prefer to shoot in the studio when at all possible. Yes, I do go on location, and I can make beautiful photography there, but the end result of shooting in the studio is usually higher quality food photography. It’s just that simple.